Libtard’s tweet that inspired this, HERE. Found this in the comments to an article, “Anti-Trump rioters brawl — with each other!” HERE. + Taken over the Internet – If you like your Internet you can keep it! Feel free to add on !! 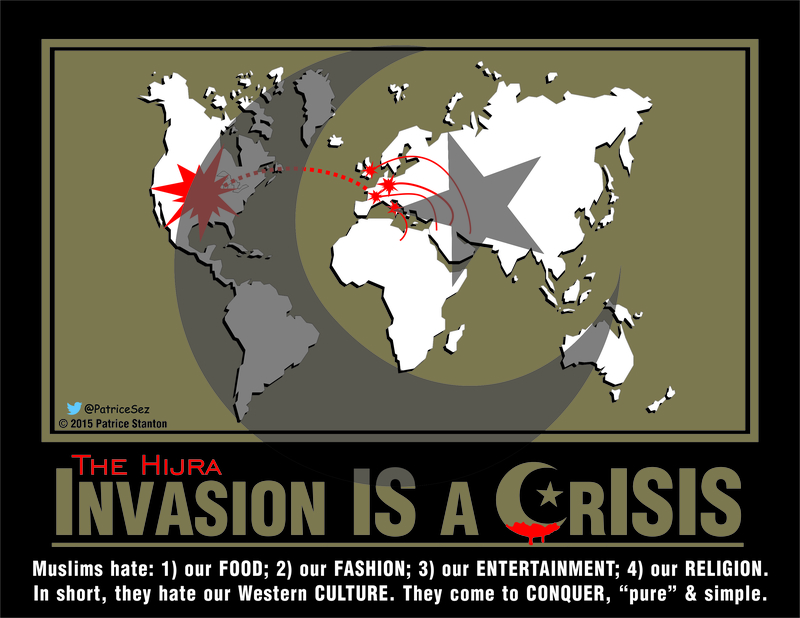 Muslims love their taqiyya and it has gotten to the point in the U.S.A. at least it’s become political-theater. Did you watch the premiere of the “Ahmed-Mohammed Show” this week? Here’s my YouTube video on the sublime propaganda of that. Make no mistake about this “refugee crisis:” it’s the Trojan horse in plain sight that Islam has been promising since 600-and-something A.D. Check out this fine educational channel on YouTube, Dr. Bill Warner’s “Political Islam.” Islam is an ideology NOT a “religion.” It’s arabic for Submit (-or-Die). Is that the kind of congregation you’d like to see proliferate in your town?